Premium PowerPoint Maps and Backgrounds for Business Presentations ready for Download. Pre-designed Diagrams, Charts, Graphics and Slides for Microsoft PowerPoint. Editable PowerPoint Maps to show locations and regions with Icons. Bundle of Maps includes interactive PowerPoint Maps of continents, countries and states. the states in a country. Enjoy full access to our entire graphic design template library - over a thousand templates. Save up to 97% with our Design Template Library Subscriptions. PowerPoint Maps to show Countries, States and Cities. Powerpoint Maps Online is the world's leading provider of unique, creative and effective PowerPoint Maps templates. Our maps are of highest in quality and accuracy. We have highly skilled graphic designers for making astonishing layout designs. You can get easily useable and customizable maps backgrounds for business or academic presentations with the best quality possible. You can easily customize your own graphics (color, shape, logo). Our ambitious objective is to provide PowerPoint presentation maps for accomplishing users’ requirements. 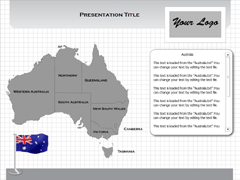 An editable PPT maps can help you to pinpoint and clarify the message regarding particular geographical location. Users can easily edit these presentations in terms of colors, lines, text and so forth. Editable PowerPoint maps are available in a number of formats including PowerPoint, Adobe Illustrator, Flash, MS Word, MS Publisher and many others. You can get these in vector layouts, flash layouts and HTML clickable layouts. The vision is the means to communicate more effectively and as per the need we bring you the best visualization of your reports and presentations. You can get high resolution PowerPoint maps here, which increase the overall value of your presentation and improve communication of your message. All PPT maps have been developed by highly skilled, experienced and professional graphic designers who have paid attention to details. We understand the customers' preferences very well and design the topographical layouts very vigilantly. We have updated presentations with new data available and follow the trend of upcoming market. Maps for PowerPoint are proposed to solve a big issue to specify a location in a presentation. We offer you so many options that you can design your own data-driven charts and diagrams. With our maps you need not to get any training to use these templates. These templates can be used directly in a fully integrated solution Microsoft® PowerPoint &/or Excel. Users can get stunning presentations without putting much effort as we provide user friendly interface for setting, without macros or programming language. You can try our maps RISK FREE. If you are dissatisfied with the map we will fully refund your money. NO Questions asked. We as designers take pride in our quality of work. Good Luck and have an amazing presentation. Get the exclusive PowerPoint maps of different states of the country , which are completely designed by our expert graphic designers . Get exclusive range of continent maps (XML & Powerpoint) especially designed for PowerPoint presentations. Get PowerPoint maps,XML maps and flash maps ,which are useful for making business related presentations. Get professional flash maps of different countries, continents & state maps to make amazing presentations.